Earlier this week I gave you an Islay Walking Week 2011 Heads Up and also promised you an illustrated version of the full programme. I had hoped to get it done earlier, but a few rather long days in the day job didn't leave me much time until today. 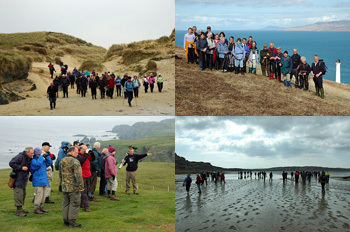 Nevertheless it's done by the deadline I set myself, here is the full WalkIslay 2011 Islay walking week programme. I would appreciate any feedback you might have if this works and is helpful. Keeping in mind that I'm limited by the capabilities Google Maps offers feel free to let me know your suggestions for improvements and I'll see what is possible. See you walking on Islay in two months?